I guess it was inevitable… – And What Should I Do In Illyria? ← Dear friend, dear friend? it was bound to happen. There was no way ’round it. As certain as the sun rises, Xavier turns 2 today!! This is the day I have been dreading. The day my baby wouldn’t be a baby anymore. 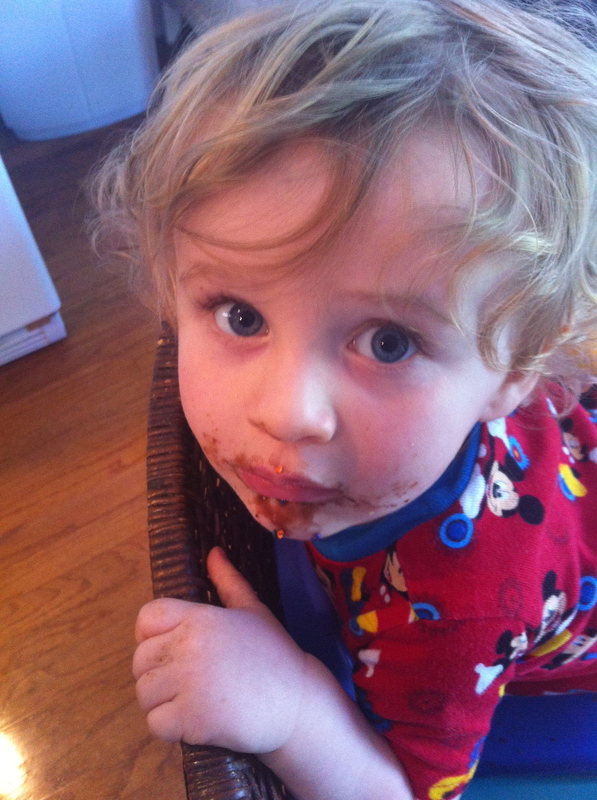 Even yesterday, when he was still 1, he was a baby. 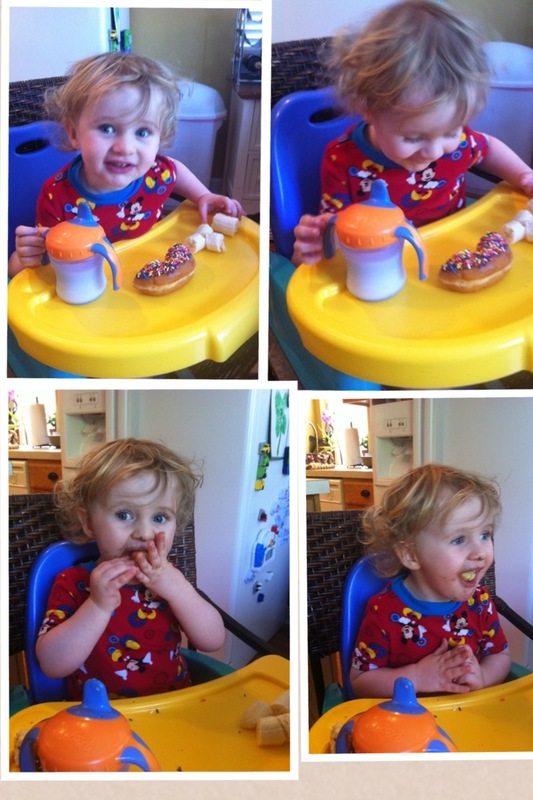 But today, the day he turns 2, he is a full-on toddler. I can scarcely admit it. But the facts are there. He is taller, as evidence by his needing a bigger bed. He is talking more clearly and saying things like, “Watch dis, Mama!” He is heavier, my arms can attest to this fact. He is 2. My little ray of sunshine, who sings with abandon and dances like crazy, who shouts and hollers at the top of his lungs, who prefers to be naked or at least pantless, who plays hard and explores with no fear, who reads his beloved books even if there are no lights on to see, who climbs on EVERYTHING, tables, chairs, stools, stairs, toys, window ledges, book shelves, guitar cases, etc… and keeps me quite literally on my toes, who loves to snuggle and have quality time, who adores his big brubber, Mickey Mouse and Winnie the Pooh, who gets up with the sun and calls for me 1st thing, who loves everyone and doesn’t know a stranger, I love you more than stars in the sky! You bring excitement, noise and sunny days to my life. You make it a joy to wake up. And you know, no matter how big you get, you will really always be my baby love. Happy happy birthday, my sweet one! 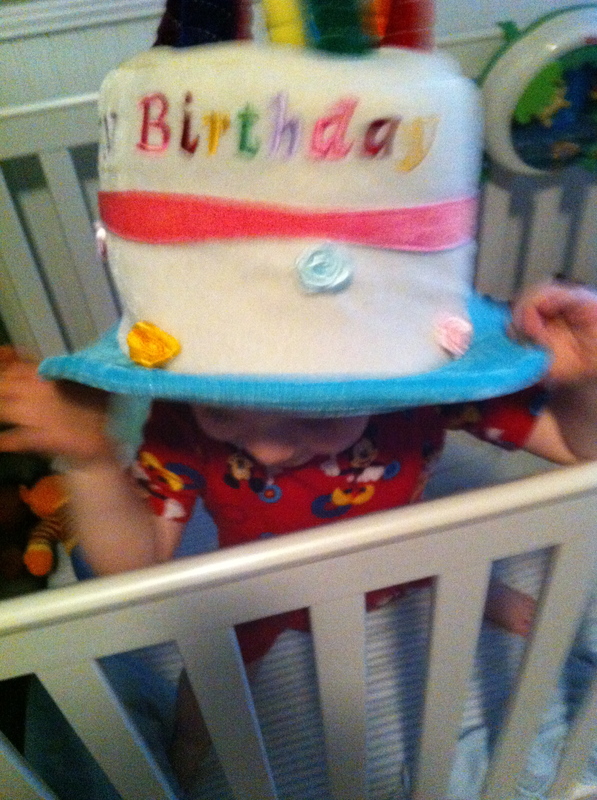 It starts with the traditional birthday hat! This entry was posted in baby, Birthday, children, Family, life, love. Bookmark the permalink.